Cedar roofs are a great roofing material and can last 40-60 years when they are maintained every 5-8 years. If you have a cedar roof and it doesn’t look like you think it should then chances are it needs to be cleaned. 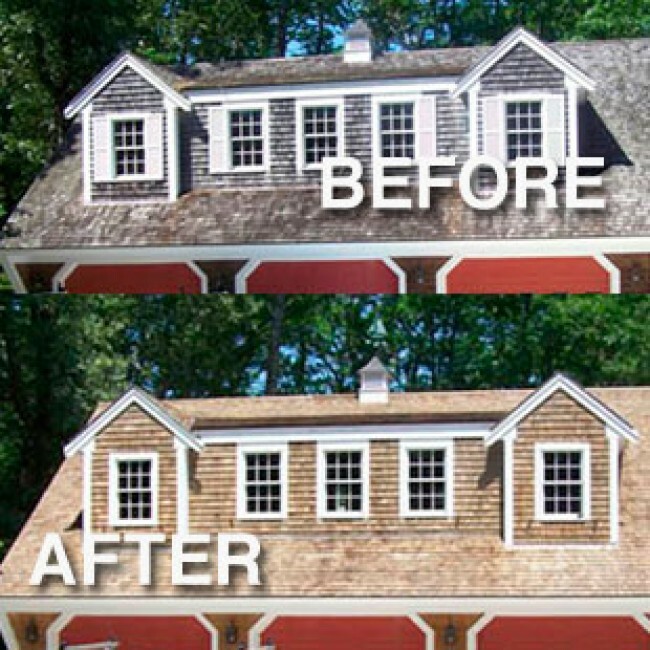 Dirty-roof.com is the premier cedar shake roof cleaners On long Island and in the Tri State area. Our special process and solution will safely and effectively remove all infestations and debris from your roof. It will also rehydrate the cedar with an oil treatment that will help preserve the shingle for many years to come. Do not trust just anyone with the care of your cedar roof. It is very easy to damage the wood and ruin an expensive roof if the right process is not chosen. Call us for a FREE quote and find out how reasonable it is to maintain the cedar roof.